Elements of Financial Time Series fills a gap in the market in the area of financial time series analysis by giving both conceptual and practical illustrations. Examples and discussions in the later chapters of the book make recent developments in time series more accessible. Examples from finance are maximized as much as possible throughout the book. * Full set of exercises is displayed at the end of each chapter. * First seven chapters cover standard topics in time series at a high-intensity level. * Recent and timely developments in nonstandard time series techniques are illustrated with real finance examples in detail. * Examples are systemically illustrated with S-plus with codes and data available on an associated Web site. 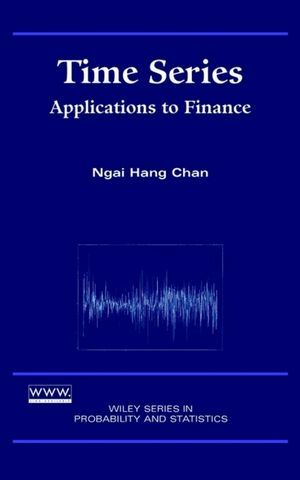 NGAI HANG CHAN, PhD, is Professor of Statistics and Director of the Risk Management Science Program at the Chinese University of Hong Kong and Professor of Statistics at Carnegie Mellon University.